Staff were encouraged to send through nature inspired photos as part of Mental Health Awareness Week to be in to win one of two $20 Shilling Club vouchers. Thanks for those who participated, and congratulations to Jo Wilson and Yifang Parker as the winners. And a big thank you to the Shilling Club for donating the vouchers and supporting Mental Health Awareness Week. 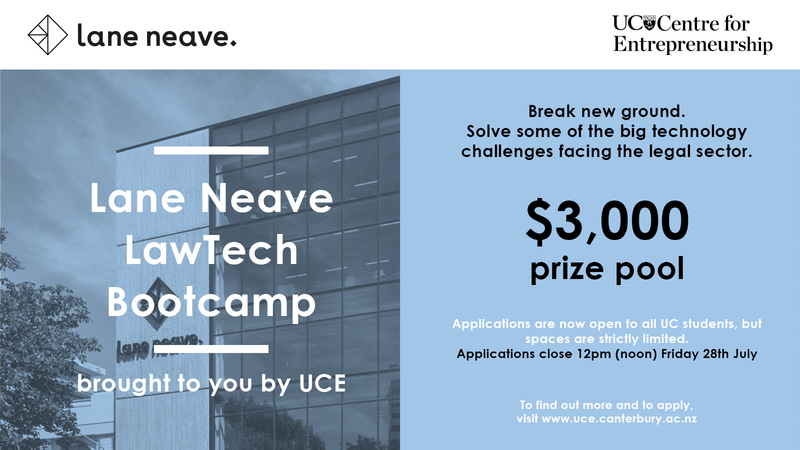 The UC Centre for Entrepreneurship (UCE) has a new opportunity for students—the Lane Neave LawTech Bootcamp. As the digital world continues to evolve, technology plays an increasingly central role in how customers do business and how law firms deliver their services. Technology can make legal advice and services more accessible, quicker, and cheaper. It is now more important than ever for law firms to meet the market through the smart use of technology. Taking place in Term 3, from Friday 11 to Sunday 13 August, the Bootcamp brings teams of students together from a range of disciplines where they will work to develop tech-based solutions for the legal sector. 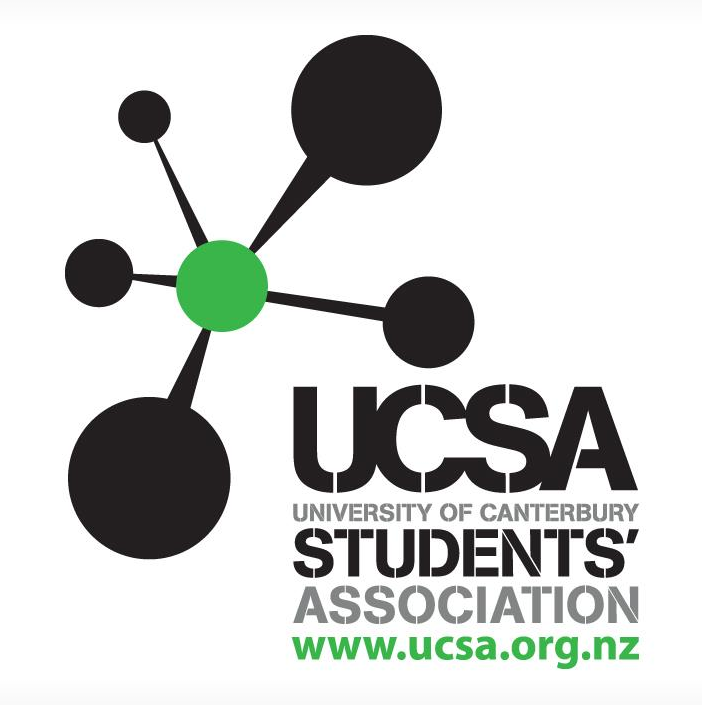 The weekend will finish with student teams pitching their strategies to a judging panel and the chance to take away a share of the $3,000 prize pool. This opportunity is open to all current UC students from all levels and areas of study. However, it may be of particular interest to students in law, management, marketing, information systems, computer science, and/or software engineering disciplines. If you know any students who would be interested in this Bootcamp, please forward this information on or direct them to the UCE website. Applications are now open and are closing at 12pm (noon) on Friday 28 July. Students can apply by completing the online application form. The Winterlude Charity Fight Night is back again on July 22, 2017. Applications for participants are now open and close 8 May. Last year the event raised more than $20,000 for a number of charities including cancer research and mental health. All participants are expected to raise at least $500 for a charity of their choice, as well as challenging themselves in the ring. This event is affiliated to Boxing New Zealand, with doctors ringside and other safety initiatives in place. While not compulsory, headgear will be available and its use is encouraged. Boxing is extremely disciplined and requires total commitment. The training doesn’t stop at three sessions a week but also committing to your own training schedule outside of the eight weeks of expert tutelage provided by Tania Barry of 12 Rounds Boxing. Do you have a spinal cord injury (SCI) or know someone who does and who might like to participate in a research project? Research aim: To evaluate the effect of a Feldenkrais® programme on people with SCI. I am a PhD student looking for volunteers with SCI who would be interested in taking part in a Feldenkrais® movement programme. Participants would be adults with SCI who can get on and off the floor. If you would like to find out more, please contact me. What is the Feldenkrais® Method? If you decide to take part, your involvement would be about 50 hours over a 6 ½ month period between June and mid-December 2017. You will be asked to attend 3 interviews and a 12 week Feldenkrais® group programme (2 hours/week with a 1 week break in the middle), complete questionnaires on symptoms and take part in postural stability and ease of function tests. You can withdraw from the study at any time. 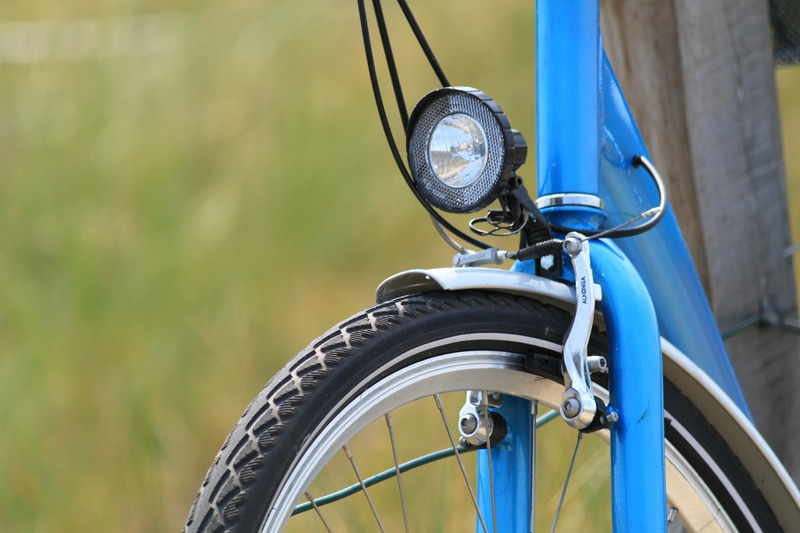 Did you know that bike lights are compulsory at night or at times where visibility is low? That means in fog or even a rainy day too. Thanks to the NZTA, here’s a list of compulsory items required on a bike. A red or yellow rear reflector that is visible from a distance of 100 metres when light shines on it. Good brakes on the front and back wheels (or, if the cycle was made before 1 January 1988, a good brake on the back wheel). One or more steady or flashing rear-facing red lights that can be seen at night from a distance of 100 metres. One or two white or yellow headlights that can be seen at night from a distance of 100 metres. Only one of these headlights may flash. Pedal retro-reflectors on the forward and rearward facing surfaces of each pedal. If the cycle does not have these, you must wear reflective material. Interested in knowing more? Check out the optional items here and don’t forget your helmet. UC Sustainability has more tips on riding around campus.